Poland doesn’t have lots of mountains, but Zakopane, nestled at the foot of the Tatras, has an appealing mix of chocolate box quaint, accessible ski slopes. Poland doesn’t have lots of mountains, but they make the most of it in Zakopane, nestled at the foot of the Tatras. This popular resort, around two hours south of Krakow is an appealing mix of chocolate box quaint, accessible ski slopes. Add low prices and Zakopane makes for a value for money ski break that is a good alternative to big budget spending of Val d’Isere even if there is no real ski in/ski out option and the mountains are not especially high. The fact is you’ll find snow, mountains and nightlife to rival plenty of other budget resorts. 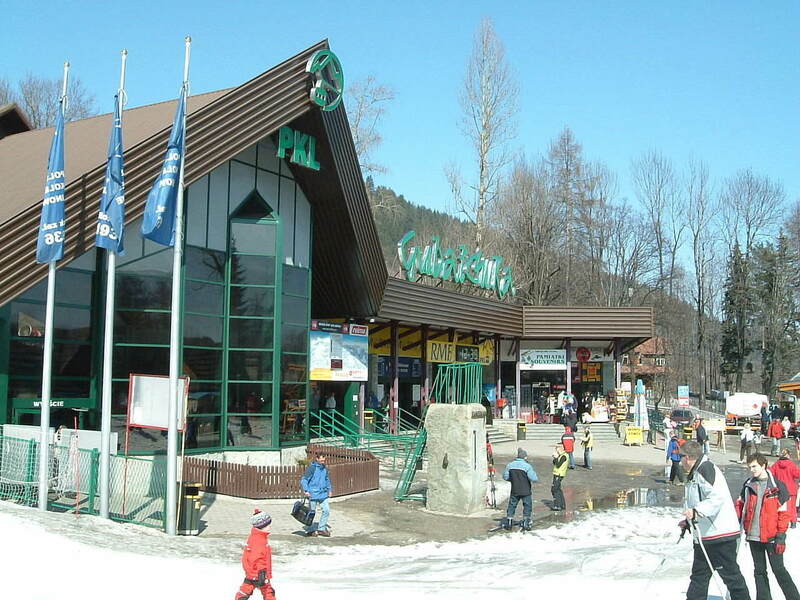 The town of Zakopane serves as the gateway to the mountains, so visitors need a taxi or the use of a daily transfer service to access the ski stations. Bialka Tatrazanska is the most Alpine of Zakopane’s ski stations, with 16 kms of ski runs spread over a series of small valleys. To the experienced winter sports enthusiast that may not sound like much, but beginners or the undemanding intermediate will find the terrain extremely pleasant and forgiving. Wide runs and beautiful woodland scenery make for a pleasant skiing experience. Those looking for mountain runs will find the best option in the imposing Kasprowy Wierch, the mountain that towers over the city. The 15 kms of runs will be more of a challenge and are better suited to intermediate skiers and boarders. The closest slopes to town are at Gubalowka, which is accessible via a funicular ride from the centre of town. From here you’ll get great views across the town plus an excellent market which is fun diversion for bargain hunters. We headed to Zakopane fairly late in the season, in mid March and although there was snowfall on the day we arrived it didn’t stick around for long. But, thankfully the ski areas have invested in great snow making facilities. 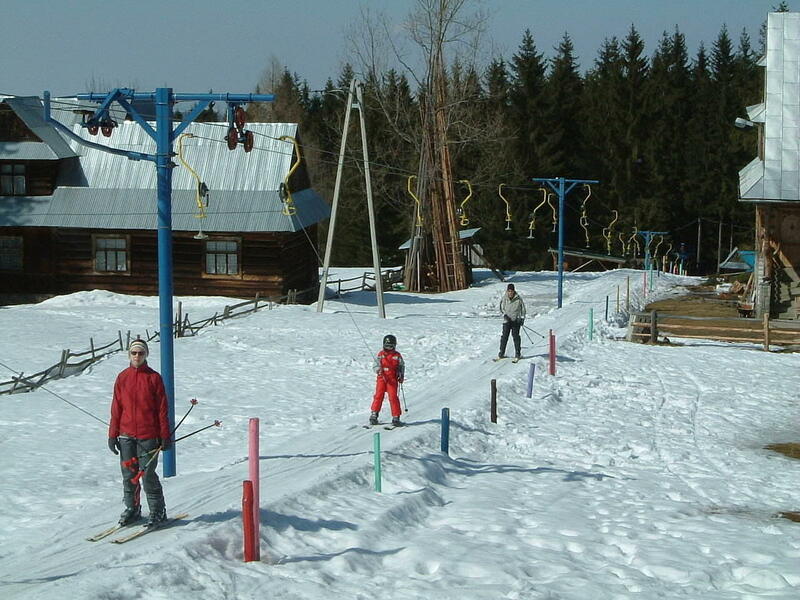 Kasprowy Wierch is mostly pretty snow sure and offers skiing up until late March or April. Ski day passes vary from around 62 PLN (approx £12) up to 120 PLN (approx £25). One thing is for sure, you won’t be short of dining options in Zakopane. Most of the fare is of the hearty meat and veg type with a healthy side of beer or vodka. The main drag, Krupowki, is packed full of authentic wooden panelled eateries, with grills stacked with sausages and joints of pork. The rustic vibe is often completed with live traditional music. The best of the bunch was at Watra (Hr. Władysława Zamoyskiego 2, 34-500 Zakopane), a restaurant and brewery a short walk off the main drag. The stills in the window aren’t just for show, their selection of beers are perfect for warming you up. We also found a great vegan burger joint, Mountain Bar (Ulica Weteranow Wojny 2, Zakopane), which serves some of the biggest vegan burgers I’ve ever seen. Nightlife is lively with lots of bars and nightclubs off the main drag. If you’re not so bothered about sliding down mountains then how about a spa? There are several thermal baths, including at Bialka Tatrazanska and down the road at Terma Bukowina. Both are great for kids with lots of play areas, but also the perfect way for adults to soothe those aches and warm your bones. Prices start from 18 PLN (approx £3) for kids and 28 PLN (approx £6) for adults. Closer to town there is also an ice rink at 73 Krupowki (the end of the road) and a kid’s snow park as part of the same complex. 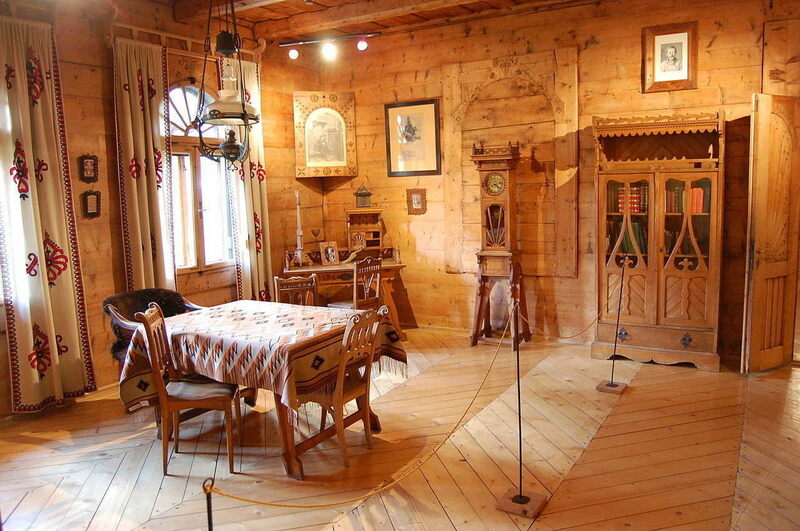 There are several decent museums in Zakopane. The area is well known for it’s ‘highlander’ houses, normally several storeys and made from logs. As such there is the Museum of Zakopane Style (Kościeliska 18, 34-500) which features history and exhibitions about clothing, architecture and the Tatra lifestyle. Entry is 7 PLN (approx £1.50). There is also the Tatra Museum, just off Krupowki Street (Krupówki 10, 34-500), which is home to artefacts and history about the region. Krupowki Street is lined with plenty of shops, from H&M through to more high end options like Armani. Fashion Street is a bit of an ambitious name but the little side street does have quite a few designer labels. The best bet is to head to the market by the Gubalowka funicular and browse the local crafts. The area is sheep country so you will spy wool and sheep products everywhere. If you’ve been meaning to get a sheepskin rug or a woolly gilet, this is probably the place to make the investment. You’ll also spy smoked sheeps milk cheese stands everywhere around town and the region. Grab a few slices, grilled and served with redcurrant sauce, for a little street snack. We visited Zakopane as part of a package with Whiteside Holidays. We were transferred from Krakow Airport, provided with snowboard equipment and stayed in a lovely rustic chalet a few minutes walk from the centre of town. 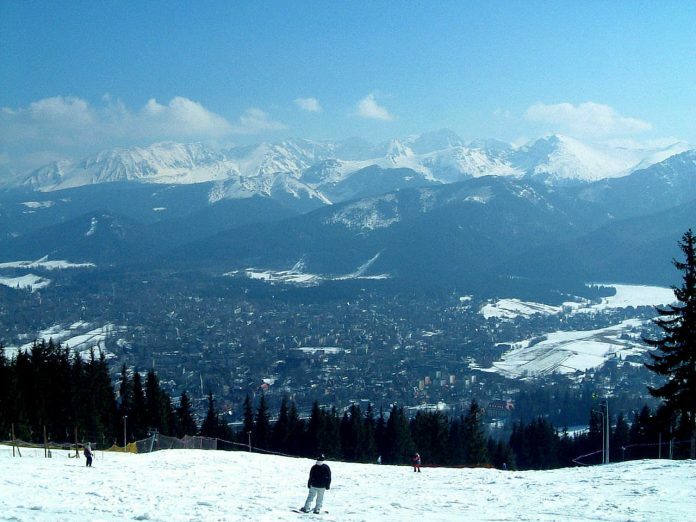 Another company offering packages to Zakopane is Go Ski Zakopane. For those looking for some 5 star luxury, the Hotel Rysy is a short walk from the main drag and offers traditional rustic accommodation for what might be one of the cheapest 5 star options in Europe! The closest airport is Krakow, around 2 hours away by car. There are also daily train services from Krakow to Zakopane, which takes over 3 hours and costs approx £8 one way.